Lightweight and the size of a standard stapler, the DocketPORT 667 is perfect for travel. It is USB powered so there is no need to pack an AC power adapter. The simplex DockPORT 667 scans ID cards, driver's licenses, insurance cards, embossed cards, photos and other small media with ease. It can even scan receipts and turn them into PDF files. 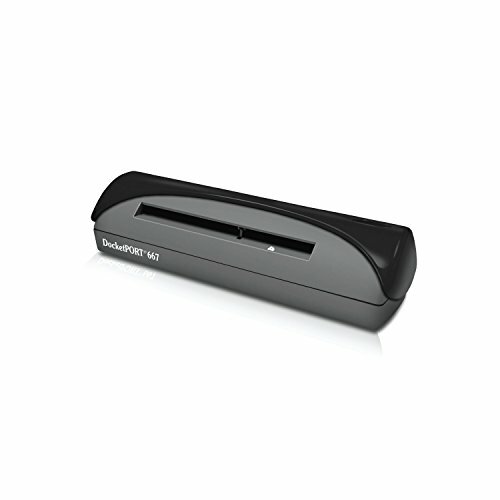 In the office or on the road, the DocketPORT 667 makes scanning simple and hassle-free. Fully USB powered, no AC power adaptor required. This portable scanner can scan upto 600dpi.